WorkReg allows you to easily register all your work hours. 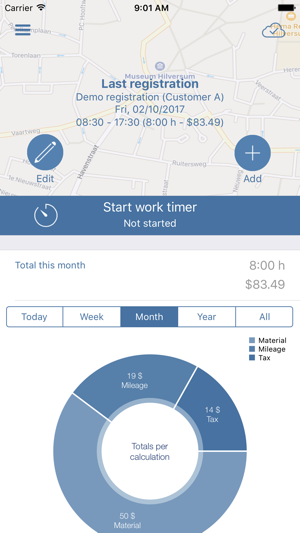 Besides the registering of work hours you can also register activities, used materials and mileage. The work registration can also be linked to customers and/or projects. WorkReg will always give you insight in total hours, total wage and total material costs. 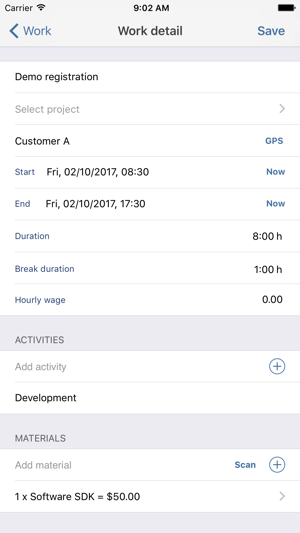 With WorkReg it is possible to manage the work hour registration on multiple iOS devices. The free Cloud Sync functionality syncs all data super fast to the cloud. 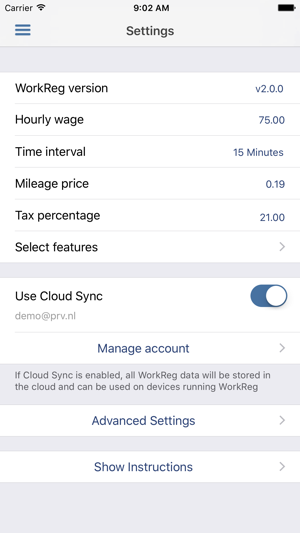 This creates a backup of the work hour registration in the Cloud and on all your iOS devices running WorkReg. 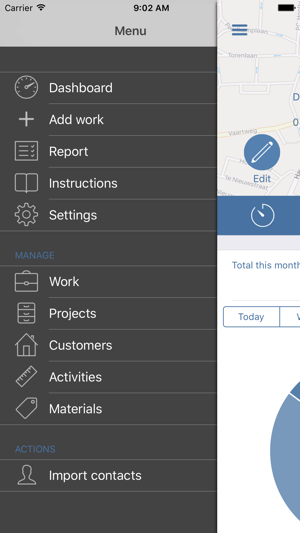 On the road, register your work hours on your iPhone and when you are at home, you can monitor and manage the work hour registration on your iPad. From WorkReg you can easily generate a report containing all important information about your work hour registration. This report allows you to filter by date, search criteria, customer and project. 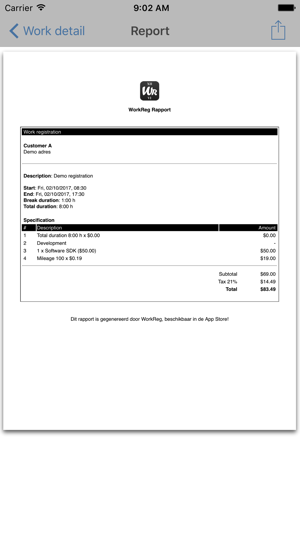 The report can be personalized by changing the header and footer of the report. You can choose from various export possibilities; Send by e-mail, export to Dropbox or print to an AirPrint-enabled printer. In both email and Dropbox exports an PDF and an CSV file is included that you can use in Excel. Also all export files are stored on the iOS device itself, these files can easily be transfer from iTunes to your computer.